The Constellation has long been a defining symbol of OMEGA’s precision and excellence. With the introduction of a silk-like pattern on the dial, the classic design of this iconic OMEGA timepiece has been enhanced once again. This model has a white opaline-silvery dial with a date window at 3 o'clock and a unique silk-like pattern inspired by several Constellation models produced in the 1960s. The 38mm case is made from stainless steel and 18K red gold. This same gold is used for the hands and indexes, as well as for the polished bars within the stainless steel bracelet. The watch is further distinguished by its iconic Constellation “claws” and the brushed bezel with tone-in-tone Roman numerals. 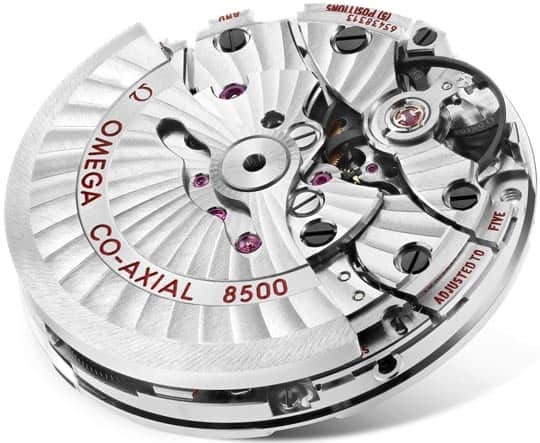 At its heart, the timepiece is driven by the OMEGA Co-Axial Calibre 8500.